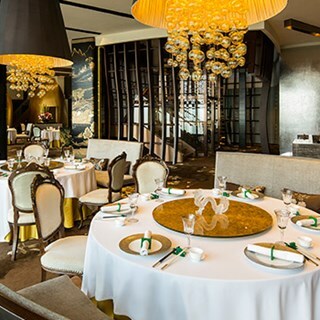 Two Michelin-starred Chinese restaurant Jade Dragon showcases exquisite culinary masterpieces created with the freshest seasonal ingredients and delectable delicacies. 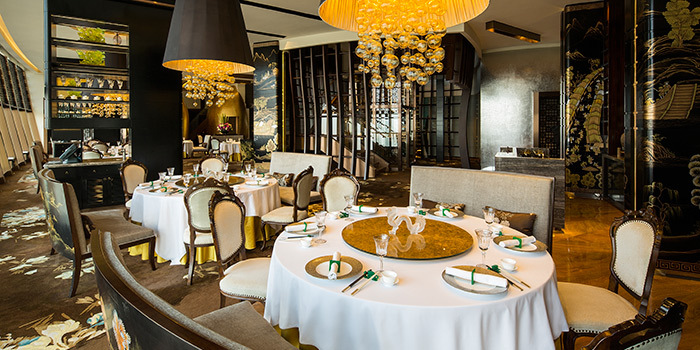 With spectacular designer décor and superlative personalized service, Jade Dragon sets the benchmark for fine dining in Macau. - Children aged six year or above are welcome. - Children aged below six years are welcome to dine at the private dining room." The food is of high quality and the service is excellent. Highly recommended to anyone who is looking for an amazing journey to Chinese food. My top pick for business or personal. Everything are perfect every time, Arman (the manager) and staff there provide exceptional service. Will continue recommend to my friends & family. Absolutely amazing dining experience. The food was great but just as equal was the service. Jameson and Sarah are 2 exceptional staff members. I didn’t get the names of the others but all of them are extremely professional and courteous. Most definitely a great recommend to dine at Jade Dragon. I will be back in November and most definitely returning. Fantastic food and top notch service as usual. Craftsmanship complete with a tasteful touch - a rare quality among the all the other big names on Cotai. My go-to place for special occasions. A great place to celerate special days with decent food and brilliant service, would definitely recommend! Food is very delicious . Staffs are attentive and professional . Always happy to dine at Jade Dragon . That was excellent food & service, thanks for the geat team. Should’ve asked some guests to keep quiet as I just wanted to have my dinner peacefully. Knowing that all guests are equal, so I should not be disturbed for such annoying chatting. The atmosphere is really important if it comes to Michellin 3 star restaurant. Our first trip to Macau, we were not disappointed! Certainly worth the trip from the U.K., fantastic food and setting, the staff were efficient and unobtrusive.